Puma Energy is a global integrated midstream and downstream oil company active in over 40 countries. Formed in 1997 in Central America, Puma Energy has since expanded its activities worldwide, achieving rapid growth, diversification and product line development. The company directly manages over 6,700 employees. Headquartered in Singapore, it has regional hubs in Johannesburg (South Africa), San Juan (Puerto Rico), Brisbane (Australia) and Tallinn (Estonia). Townsville will be Puma Energy’s third Australian fuel import terminal. The facility will have storage of up to 84 million litres, while the new terminal will be accessible to B-triple road trains, boosting haulage capacity. Dara Switchboards is the proud Australian switchboard manufacturer chosen by Puma Energy to manufacture the Motor Control Centres (MCC’s) that will power this facility. 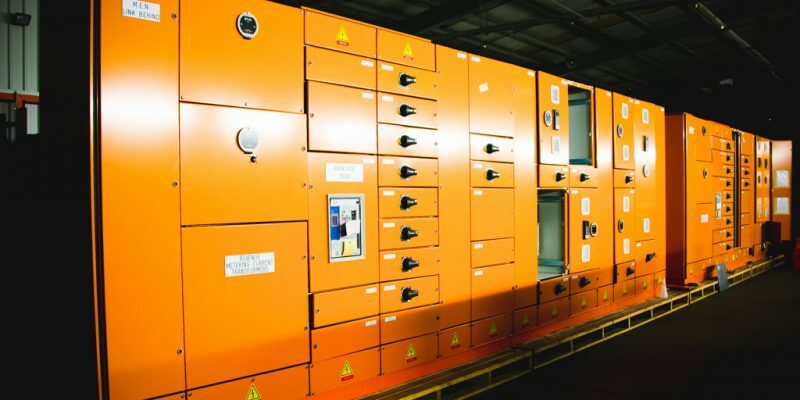 MCC’s are manufactured using the CUBIC modular switchboard system with NHP Terasaki switchgear and Allen Bradley variable speed drives and controls. This switchboard is also protected using SELCO arc detection units and FLIR IR windows fitted in most of the cubicles for thermographic surveys that will be conducted without opening the covers and hence compromising the safety of the operator.